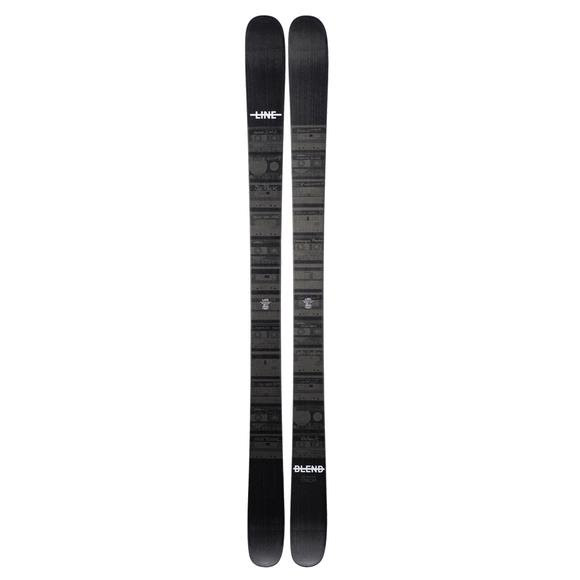 Harder to kick than a bad habit, the LINE Blend Skis return for yet another year of rail-greasin&apos;, nose-buttering, all-mountain cruisin&apos; good times. The Blend offers the damp, durable performance in an oversized footprint needed for embracing creativity. 5 different sizes of sidecut radius shapes are blended into one, for intuitive control and unlimited turn shapes. Cap on the top for light and responsive performance, combined with sidewall over the edges for a smooth solid feel. The same flex pattern in front and behind your boot conforms to terrain equally riding forward and backwards.